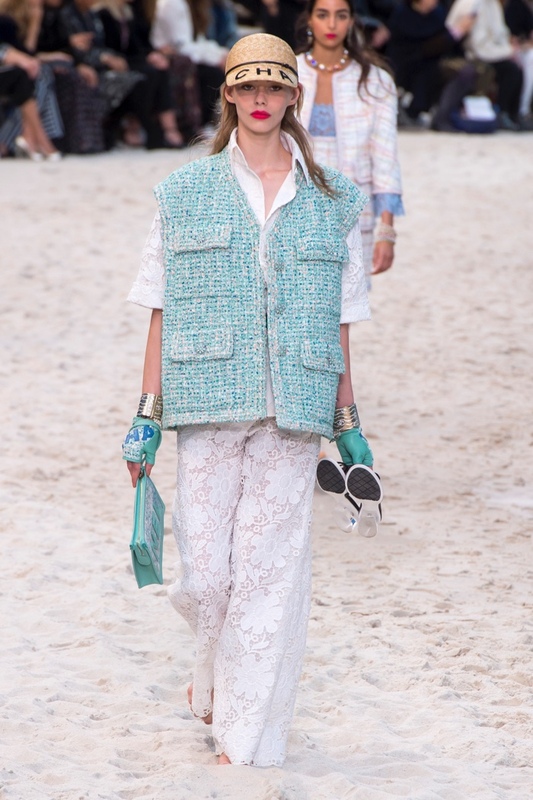 Making us fall in love with the beaches all over again, French fashion house Chanel presented its Spring/Summer 2019 Collection at the Paris Fashion Week. 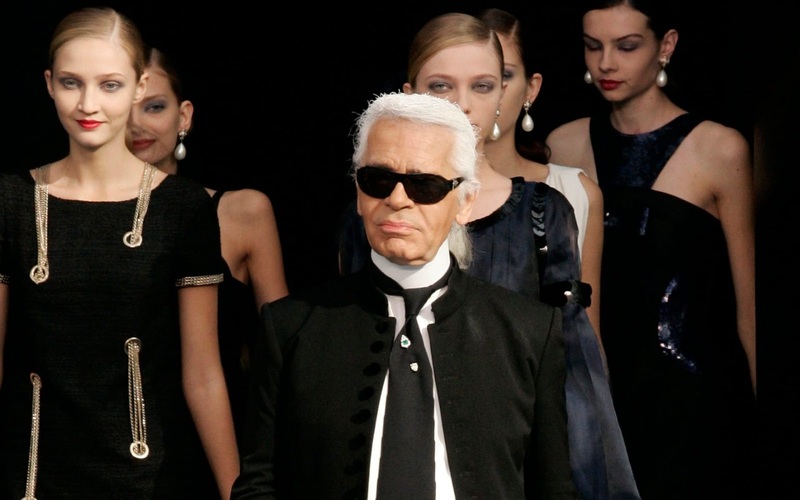 Known for its dramatic shows, Chanel turned the runway into a beach, and the models walked down, or rather took a stroll on sand with the waves caressing their toes. 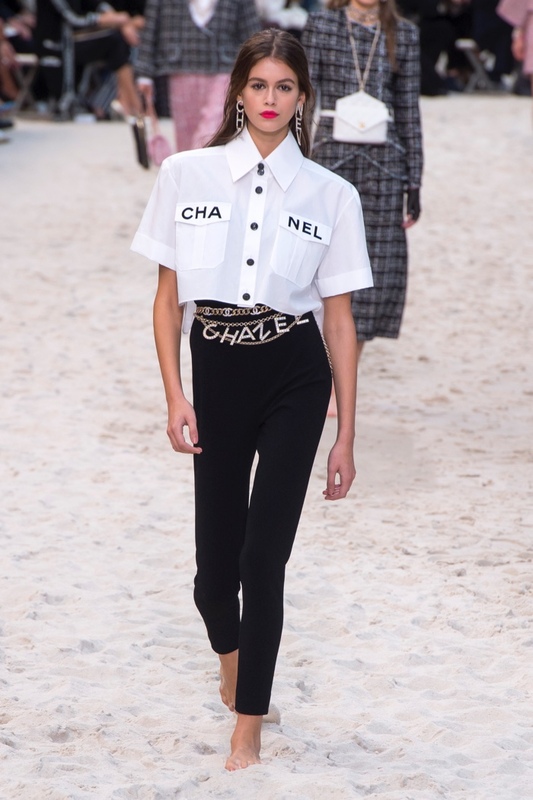 The tranquility of the beach paired with Chanel's iconic ensembles was a vision to the eyes, and many outfits and accessories instantly touched the heart. 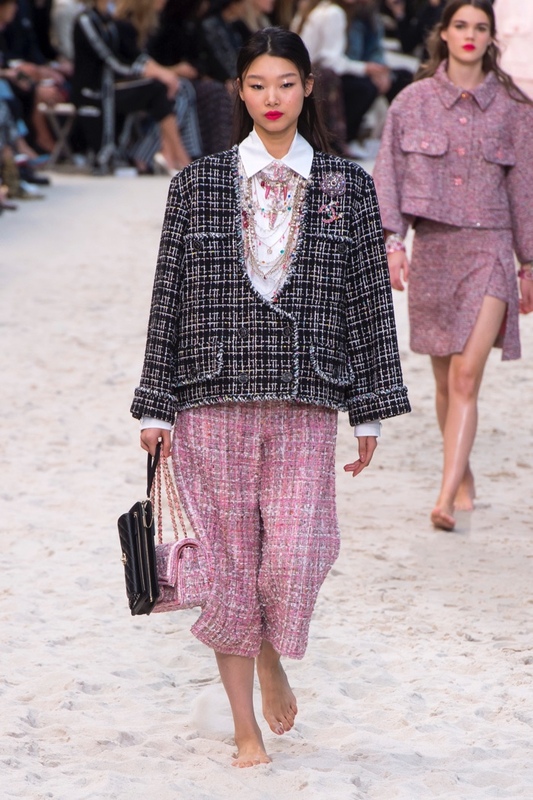 The model sashayed down the beach clad in the latest from Chanel including its signature styles, and showed off boxy tweed jackets, cropped pants and oversized shapes. Chanel also presented a colour palette of pretty pastels including yellow, pink and blue which added some fun to the collection. Printed mini dresses, short cardigans and lace details were seen on the Chanel runway, and Creative Director Karl Lagerfeld also created some beautiful black dresses with beading and pleats. Always a pleasure to watch on the runway, Chanel's show was a fashionable affair full of flair, and each look impressed and allured along with the accessories paired with it including statement logo jewellery, fingerless gloves and straw fedoras.